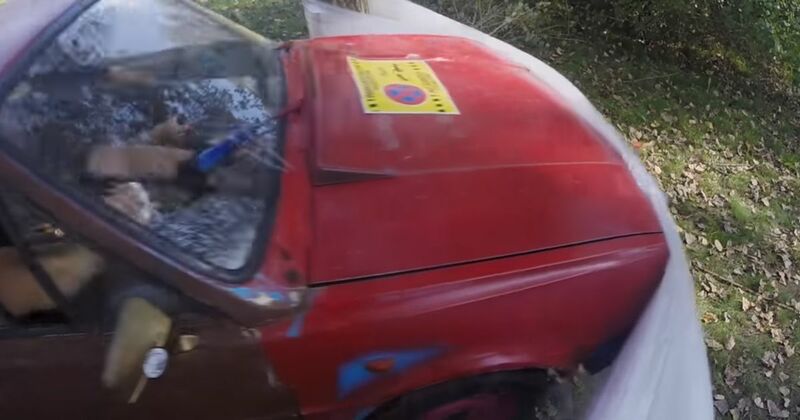 Have you ever wondered what would happen if you tried to drive a car through loads of layers of plastic wrap? Probably not, but that’s why we have the wonderful Garage 54. On the return leg of a trip through Europe, the Russian team stopped off in the Czech Republic to meet up with Vemach of Czech YouTube channel Scrimp My Ride, where Vemach himself endlessly modifies a monstrously battered old Skoda with the likes of air suspension and a wood-burning stove heater. As you do. It’s that Skoda which gets used in the Garage 54 video above. 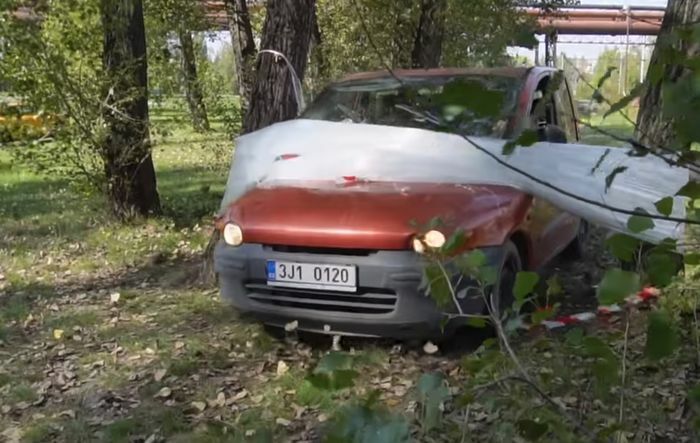 First, they wrap a single roll around two trees spaced just wide enough apart to be able to drive between them. It has zero effect on slowing the old Communist Bloc beater down.